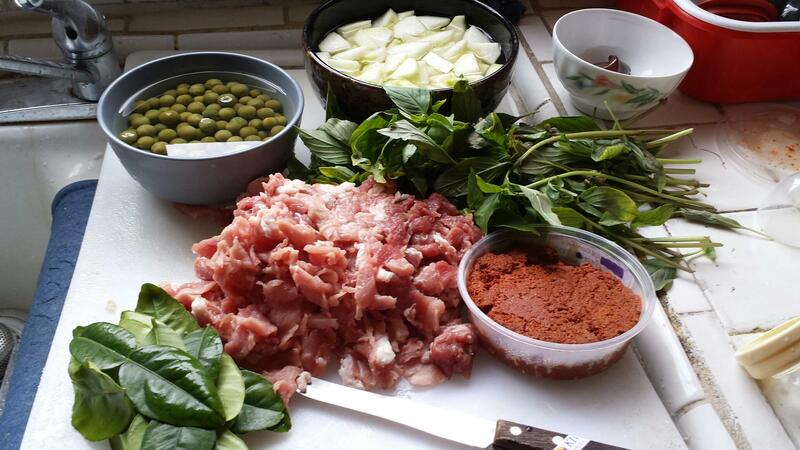 Danee sent me a picture of all the ingredients her mom uses to make pork curry and I was just taken by it. When her mom left Thailand, the one thing she decided to carry with her, was her mortar and pestle. She uses it to pound and grind and release all of the above into what I imagine to be, the most heavenly, aromatic, pungent, delicious combination of curry – ever. I regretted for days, that I couldn’t make it over to her house to have some. What on earth was that important? I don’t know. All I know is, I made, a mistake. but you actually need to season it before you can use it. No wonder Danee’s mom couldn’t leave it behind – it’s a weighty and tangible reminder of home. I love the idea of it and I’ll be seasoning mine, next week. So I made the best of what I could find – Mae Ploy Thai green curry paste, coconut milk, fish sauce, sugar, Serrano chili, Thai chili, Thai eggplants, sweet basil, mushrooms, bell peppers, and chicken. 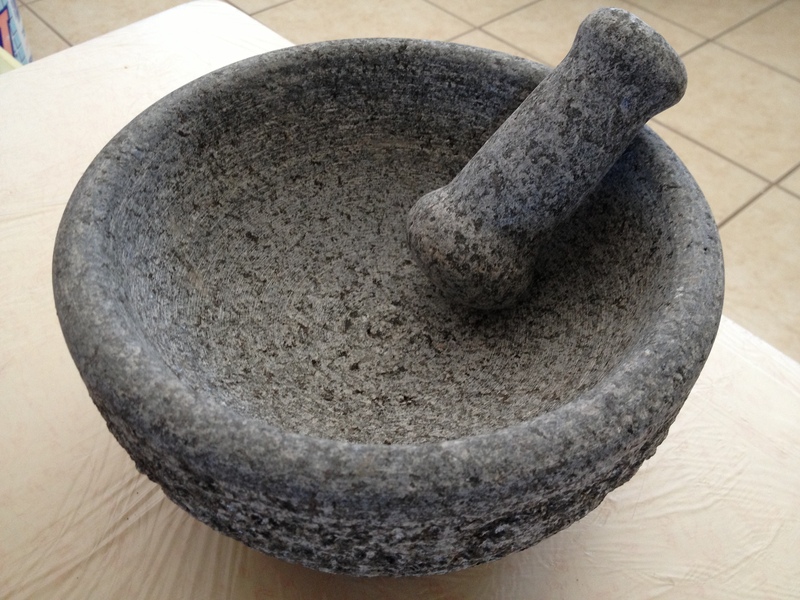 I can’t wait to use my molcajete – to make it all from scratch and to spend some time getting to know my new favorite grass this summer – lemongrass.